The Bugatti Chiron is the world’s first super sports car to bring 1,500 HP onto the road with a torque of 1.600 Nm at 2,000 to 6,000 rpm with tremendous effectiveness, extremely high safety levels and unprecedented comfort. This is the result of the legendary and unique eight-litre W16 engine that has been newly developed by Bugatti. In combination with the four new, larger turbochargers that are controlled by the Bugatti two-stage turbocharging, an innovation that Bugatti is introducing, and a large number of other technical refinements and innovations, maximum performance is available constantly and can be easily controlled at all speeds. In its Top Speed mode, the car reaches the maximum speed of 420 km/h, limited for road use – however, this is by no means the end of the road for the Bugatti Chiron. With the new carbon fibre monocoque, a newly designed adaptive chassis, tyres developed especially for Bugatti and other innovative technologies, the Chiron is not only a champion in terms of maximum acceleration but is, for the first time, also an agile, modern Bugatti with handling that ensures maximum driving pleasure. The design of the Chiron combines significantly more “beast” with a very high level of “beauty”. The design language introduced by Bugatti with the Chiron has a significantly more aggressive tone and does justice to the character of the new super sports car. The designers have succeeded in reinterpreting Bugatti’s DNA with its distinctive features in a modern manifestation at the same time as adding new features resulting from the technical demands of even higher performance. The Chiron remains unmistakably a Bugatti. “The Chiron is the quintessential ultimate super sports car: ultra-modern, incredibly fast, agile and powerful with a stylistically demanding design and the highest possible levels of comfort,” says Wolfgang Dürheimer. “This combination is not offered by any other market player and gives Bugatti its unique market position.” “Our customers form an exclusive group of automobile collectors who are searching for the very best. 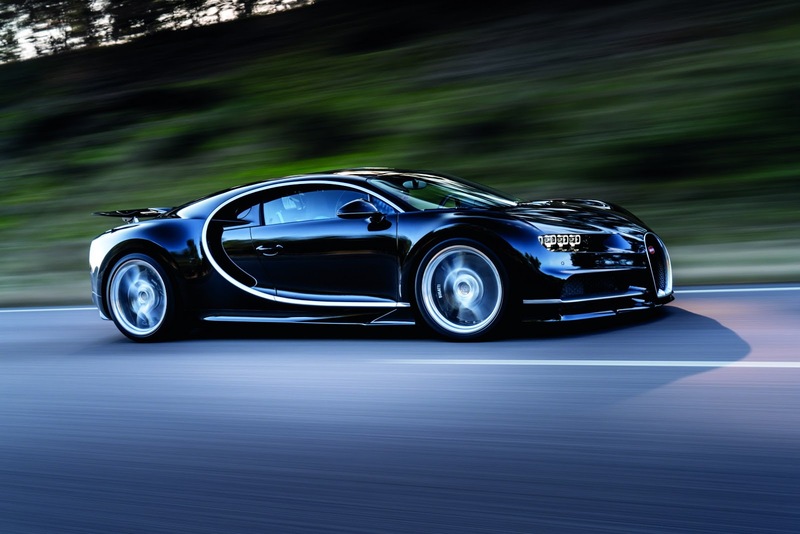 With the Veyron, they have the best production sports car of the past 10 years,” Dürheimer continues. “This is why their demands and expectations for our next step – the Chiron – were so high.“ Customers’ reactions show that Bugatti has hit the mark. Advance orders have already been received for one third of the production series. “Those who have already considered Bugatti and its unique features in connection with the purchase of a Veyron will find there is no way they can ignore the Chiron,” according to Wolfgang Dürheimer. “With the Chiron we will not only be providing a key emotional element for the image of the Volkswagen Group but will also be making a positive contribution to Group results,” says Wolfgang Dürheimer. The Chiron can be seen on the Bugatti stand in Hall 1 at the Geneva International Motor Show from March 1 to 13. In order to achieve a 25 percent* increase in performance compared to its predecessor, almost every single part of the engine was looked at and newly developed. This feat of engineering resulted in the W16 engine of the Bugatti Chiron being able to develop an unbelievable1,103 kW (1,500 bps) from its 8 litres of displacement. The engine reaches its maximum torque of 1,600 Nm thanks to the turbocharger which Bugatti actually even developed itself. The4 turbochargers are now double-powered and already guarantee maximum torque at 2,000 rpm, and the torque is maintained at this level all the way up to 6,000 rpm. The result is unbelievable acceleration which only comes to an end in the twilight zone somewhere beyond the 400 km/hmark.